Built in fall of 1994, the project arose out of the demands of activist groups for the construction of social housing and the defence of social rights, notably for people struggling with mental health problems. The origins of the Requérants et les Requérantes project go back to the 1970s and ’80s. At that time, the Laval ACEF (Association coopérative d’économie familiale), which fights for the right to live without debt, was offering various free services for the economically vulnerable. Its activities centred on education, organizing and the defence of the interests of the population in all aspects of consumption and debt. 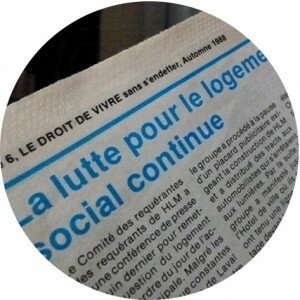 During the same period, a coalition of Laval community groups (Association pour la défense des droits sociaux, Comité logement, Association Parents Unique), representing a broad range of social justice activists, formed the Requérants et les Requérantes committee to demand the construction of social housing in Laval. This project was promoted by the FRAPRU (Popular Action Front in Urban Redevelopment) housing coalition at provincial level. 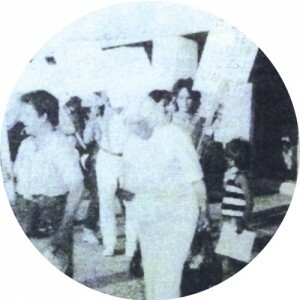 Highlighting the very low stock of public housing, cooperatives and non-profit housing in the territory, various groups challenged municipal governments to act via demonstrations and occupations. 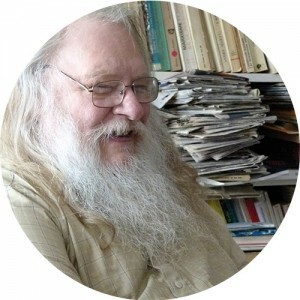 “The Requérants et les Requérantes committee has been established to reflect on, discuss and debate the political situation of social housing in Laval,”, said Claude Gingras, who was an ACEF coordinator for 15 years and still lives in the building. In May 1985, ACEF Laval published the first edition of its newspaper, which recorded the history of the struggle. The newspaper appeared 23 times until the fall of 1990. Despite organizational difficulties, ACEF continues its mobilization and community support activities. At the same time, after having made four requests to the Société d’habitation du Québec, the organization finally received a grant to begin construction of Habitations Les Requérants et les Requérantes Laval. With additional help from a technical resource group, the project had $1 million budget. Months later, the first tenants made their entrance in the non-profit housing project, whose mandate was to accommodate low-income households and people with mental health problems. “It was above all for the poor. In the application to the SHQ, low income counted for 35 points (in the scoring). Mental health problems, that was only five points,” noted Gingras. In the non-profit, tenants form committees and get involved in the management of the building. Mobilization outings are organized regularly (for example, for the defence of welfare and mental health rights). For many years, Gingras welcomed the 20 tenants into his kitchen at general meetings, two or three times a year. Discussions were always political, but also related to the collection of rent, from a collective mutual-aid perspective. For the first eight years, the board was composed of a majority of tenants and, to support them in management, two external members (a social worker and a lawyer). 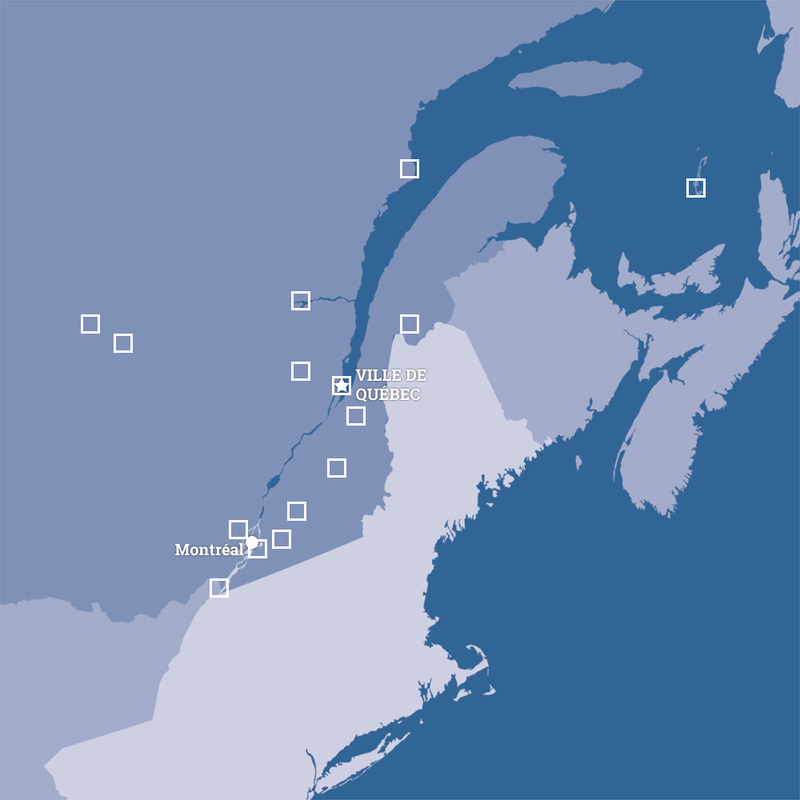 Since 2005, other external members were added, and two tenants remain on the board. A community support worker is present a few hours each week. He is employed by The FOH3L (a federation of housing non-profits in Laval, Laurentides and the Lanaudière), with a grant from CISSS (Integrated Centre for Health and Social Services). 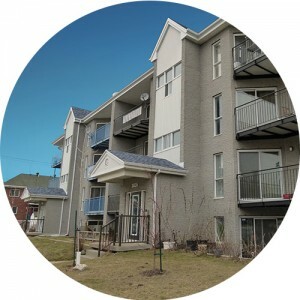 Moreover, apart from the tax clinic and “bonne boîte bonne bouffe” project (low-cost fruit and vegetable basket delivery), entertainment activities are organized for tenants (such as a sugar shack outing, summer barbecue, corn roast, Christmas dinner, etc. ).